We are engaged in Supplying high quality Automatic Mains Failure Panel range that is offered as per the demands of our esteemed clients. The Automatic Mains Failure Panel range is available from 5 KVA TO 750 KVA DG sets auto changeover with auto mains failure application DG installed. 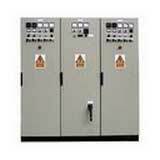 We offer the Automatic Mains Failure Panel range at market leading rates.